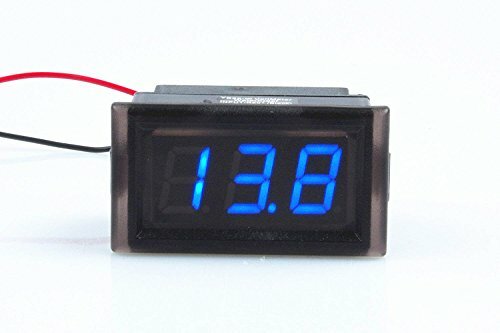 Small Voltage Meter: Waterproof voltmeter or voltage detector with 0.52 inch. Potentiometer: Built in trimmer potentiometer, it is simple to do a calibration work. Reverse Connection Protection: Reverse connection protection, No worry it will burn your meter when get it connected reversely.